Dead-straight hair as a result of using my ghd. It works a little too well! I had been using the Davroe Colour Senses shampoo but I ran out of that faster than the conditioner (isn't it usually the other way around for people?) because I brought it with me to my overseas trip last December and didn't bother bringing conditioner. Conditioning my hair isn't a crucial step for me so I was fine without it while I was away from home. I find that the scent of the Alchemy shampoo is a little overpowering however I still like to use it because it cleans my hair well and is recommend for colour treated hair like mine. 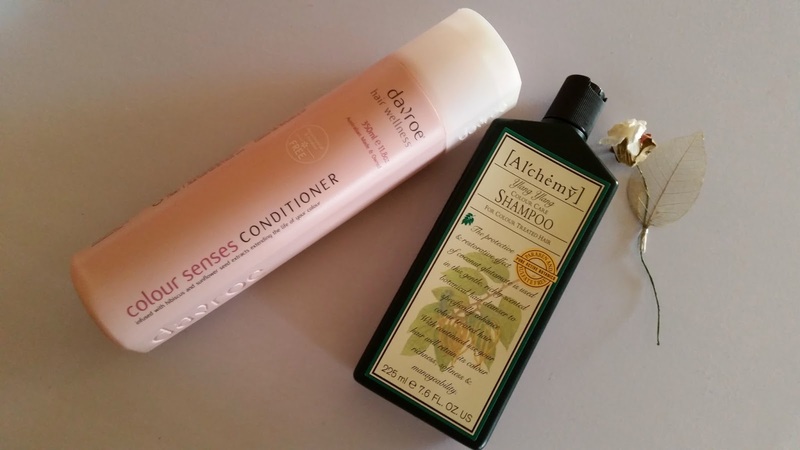 I prefer the scent of he Davroe conditioner so I guess by using this conditioner after washing my hair with Alchemy, it sort of masks that overpowering scent. Although they're not from the same brand, I feel that they work well together because of their ingredients (paraben and sulfate free) and their uses to help enhance coloured hair and vibrance. The Essential hair mask is my latest hair product purchase which I bought off Sasa a couple of weeks ago. It's a Japanese product that has been highly raved about online and these positive reviews have made me want to try it out so badly. Verdict? I love it! The product making my hair silky-smooth seems like an understatement because it feels even smoother than silk (if that's even possible). It works better than any ordinary hair conditioner in my opinion, and it smells wonderful. The scent straight from the jar may be a bit overpowering but once a golf ball-sized amount is used and rinsed out of your hair, it leaves a light, pleasant scent. People with dry/damaged hair can really benefit from this hair mask as it restores it and makes it feel healthy again. I don't know how it does it! This is definitely a product that I want to purchase over and over again. 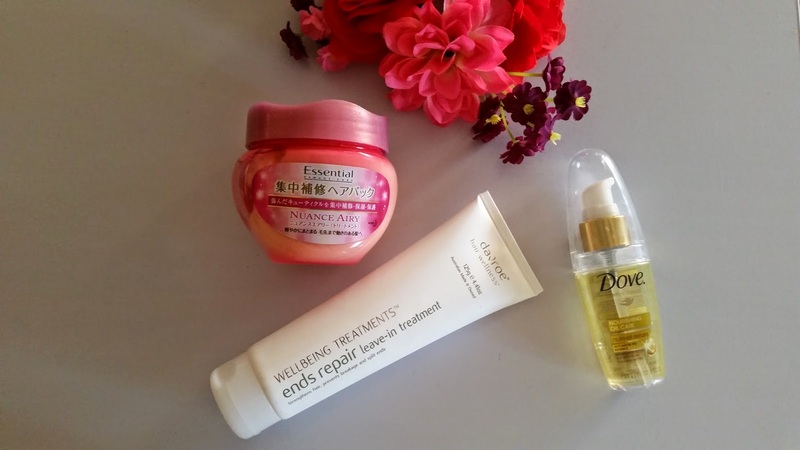 Two years later and I'm still using the Dove Nourishing Oil serum which I reviewed *here* (sorry all of the pictures are gone) and also pairing it with the Davroe Ends Repair Leave-in Treatment specifically for my ends to hopefully reduce or prevent split ends. 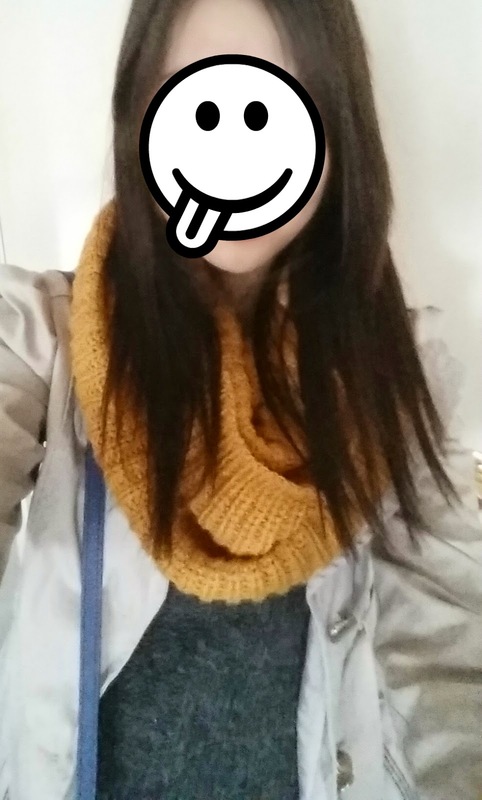 So far so good - a month and a half since my last haircut and there are still no split ends. The Davroe Colour Protect spray is used to help protect and extend the life of coloured hair while adding shine and colour-fade protection. Although it's a 'daily' spray, I haven't been using it daily but I do use it at least a few times a week to give my hair some protection and refreshing scent. I like how it can be used on damp or dry hair. Another spray that I use a few times a week is the John Frieda Frizz-Ease Glossing mist to help smooth flyaways and reduce frizz which is one of my hair problems. It's very lightweight, so lightweight that it doesn't even feel like it does anything for my hair but still manages to make my hair stay together without having to use hair sprays that make my hair all hard. I absolutely love the scent of this product - it's a worthy purchase. Between washes I occasionally use this Les Stafford dry shampoo for my oily roots. I received this in a Priceline goodie bag and I'm not much of a dry shampoo user however I do prefer this over the Batiste one that I used to have because it seems to work better and I prefer this scent. 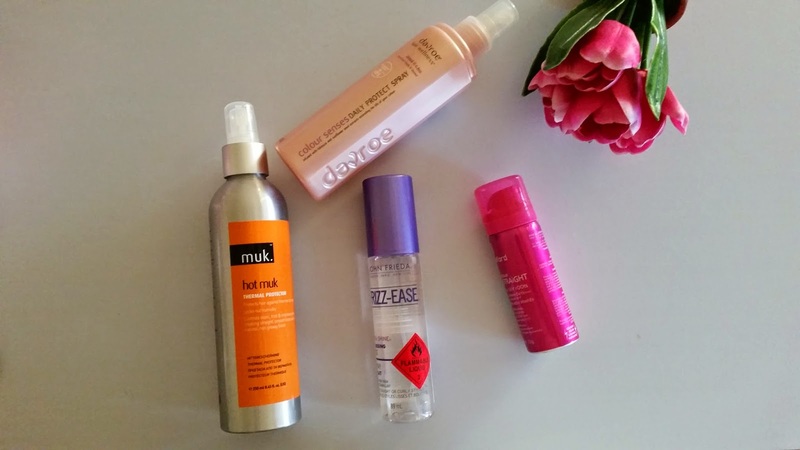 Whenever I use a straightener or curling iron I use this MUK Thermal Protector spray beforehand. I like the apple-like scent and it seems to be able to control my frizz and static hair quite well. I've noticed that VO5 have had some of the best-smelling scents for hair products and with this range, they've introduced a 'fabulous new fragrance'. It's pleasant but I wish they had stuck with their previous one/s because personally I find this new scent to be too musky for my liking . You or others may like it though, and after all it did get the nod! 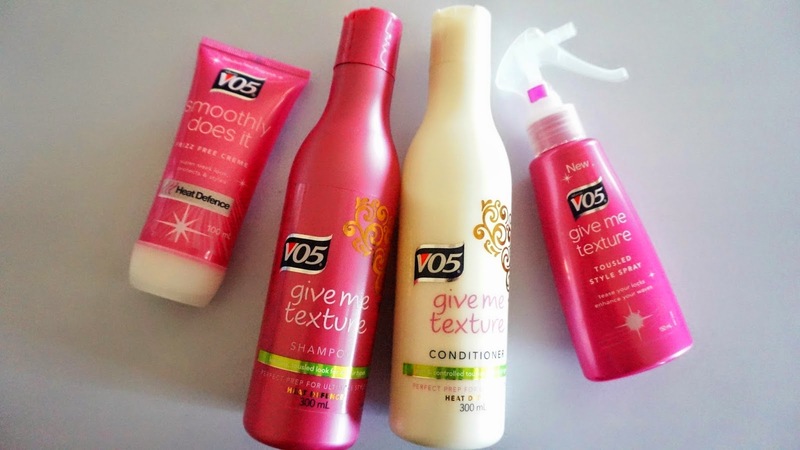 So I guess this VO5 range does include products that have made me wonder where they have been all my life, especially the frizz free creme and tousled style spray. I can use ordinary shampoos and conditioners like the VO5 ones or my current Davroe and Alchemy ones but when it comes to treatments/sprays/serums etc, ones that work specifically for my hair type and style are the ones that I benefit from the most. Plus I love it when I find products that do what I need them to do because it makes things a whole lot easier. Which hair product is your holy grail? 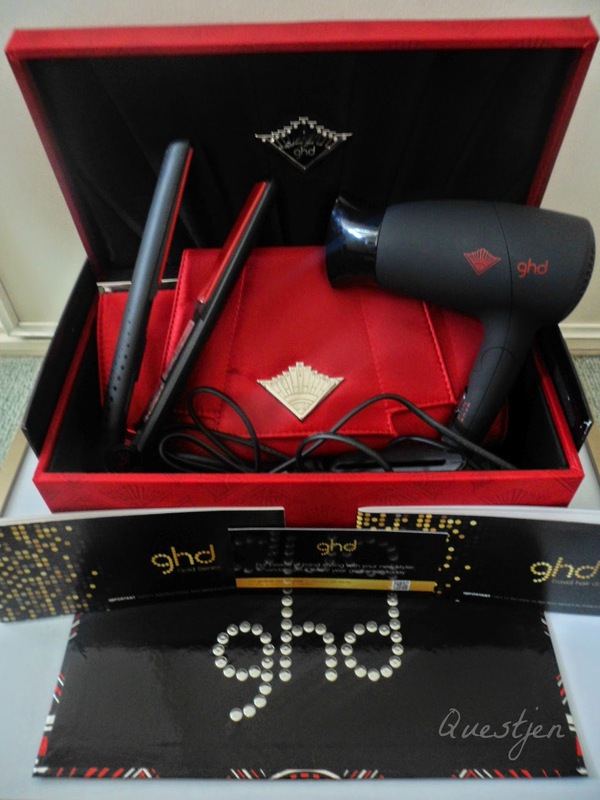 For me, it's tough picking one but I'll have to say my ghd! Even if my hair is super messy and getting oily, straightening my hair gives me so much confidence :) Below is a pic that I took when my limited edition set was brand new. But it all still works and looks as good as new! The 'Alfa Romeo' of hair stylers. Completely agree. Disclaimer: This is not a sponsored post, nor am I affiliated with any of the companies mentioned in this post. Products were purchased by me unless marked with a * which have been provided for consideration, with no obligation to to share or review. All opinions stated by me are 100% honest with no bias. See more at http://www.questjen.com/p/disclaimer.html for full disclaimer. My HG hair product is possibly my Body Shop Grapeseed Glossing serum. It helps keep my hair smooth! Great post, I've heard a lot about VO5, it seems like a good brand!